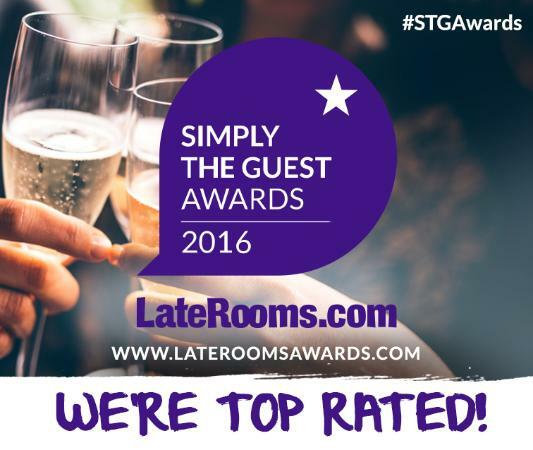 We welcome you to enjoy the homely comforts of our award winning guesthouse. The Bude Haven is an 8 minute walk approx to the sandy beaches of Bude, North Bude golf course, and the Bude town centre is less than a 10 minute stroll. We are also within easy reach of many attractions and activities. It is an ideal base for your break. Children are also welcome. we offer free secure parking / free Wi-Fi / no hidden charges the price you see is the price you pay. if you can’t see the dates you require do give us a quick call. We offer a full range of tasty and Freshly cooked breakfast options. Our restaurant offers local specials and is always best pre booking prior to your arrival. All our ingredients are freshly bought in so booking is must, we also cater for vegetarians and gluten-free. The Bude Haven is also an ideal place for Weddings/Christenings/celebratory parties/conferences meetings/business meetings etc. FREE OFF ROAD VALET PARKING IS AVAILABLE. FREE Wi-Fi in certain rooms. ask for details. If you want to Book Direct please call us to get the best deal. The Bude Haven has a non-smoking policy throughout the premises.